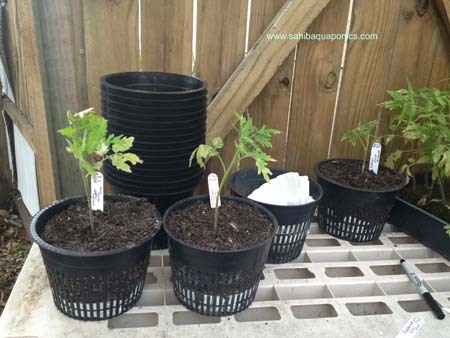 We are always adding different growing methods and researching new and better ways to utilize our Aquaponics knowledge so as to increase the range of what we can grow. 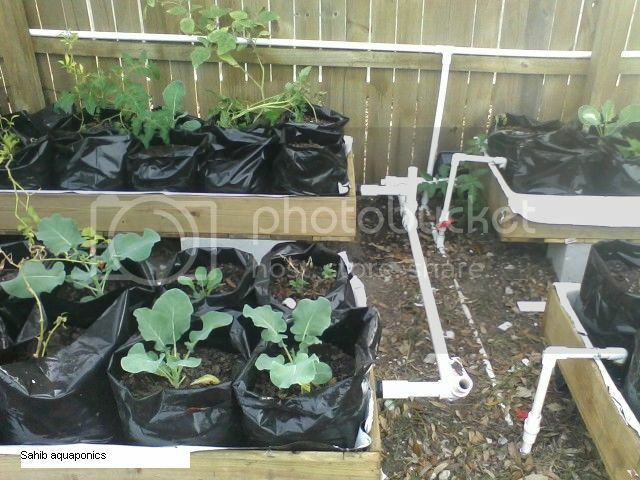 I wanted to be able to use some soil in Aquaponics and be able to grow root vegetables while re-circulating the water. In future posts, I will highlight some of our methods and components as to one step we have taken towards this. Here I am sharing a article by my good friend and fellow Aquapon David Hart. We removed some shallow water culture troughs from one of the systems. Not because they didn’t work, they actually worked very well. The problem was, that they were above a deep water culture bed. As the sun went higher in the sky during the summer, they started to cast too much shadow onto the lower bed. This wouldn’t of been a problem ‘if’ the beds ran North and South, but they don’t, ours are set East to West. Since we are using wasted space in a shopping center, we don’t have a lot of options on our lay out. Here’s a shot of the troughs new location…. You can see we have them up on one set of blocks. This helps to get the drain back to the sump. The sump is to the right of the picture. It’s about 20 feet to the sump. The pipe on the fence is the supply line. In the fore ground above….That’s five different kinds of carrots, beets and radishes. 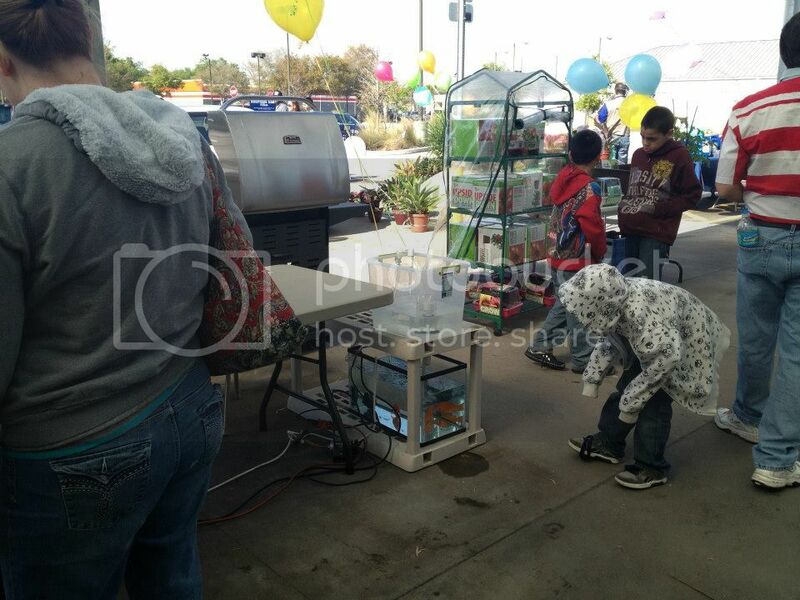 We ran a supply line to each one, with a ball valve to control the flow. Each bed has a drain, which ties into a common header. 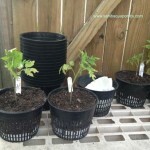 The bags are poly grow bags. I think they are a 5 gallon size (Maybe 4 gallons ?) They come with holes already in the bottom and part way up the sides. The bags are filled with a potting mix. Regular soil wouldn’t ‘wick up’ as well and the roots wouldn’t get as much oxygen. The water in the troughs, is just less then an inch. The system feeding the grow bag troughs, is our catfish system. It only has 1 IBC with about 18 very large channel cats. You can see the tank in the background of the next picture. The 3 bell siphon tubs are fairly new too. The water exits the IBC, by the way of a SLO drain. The tubs drain back to the sump. I hope this gives everyone some ideas….. 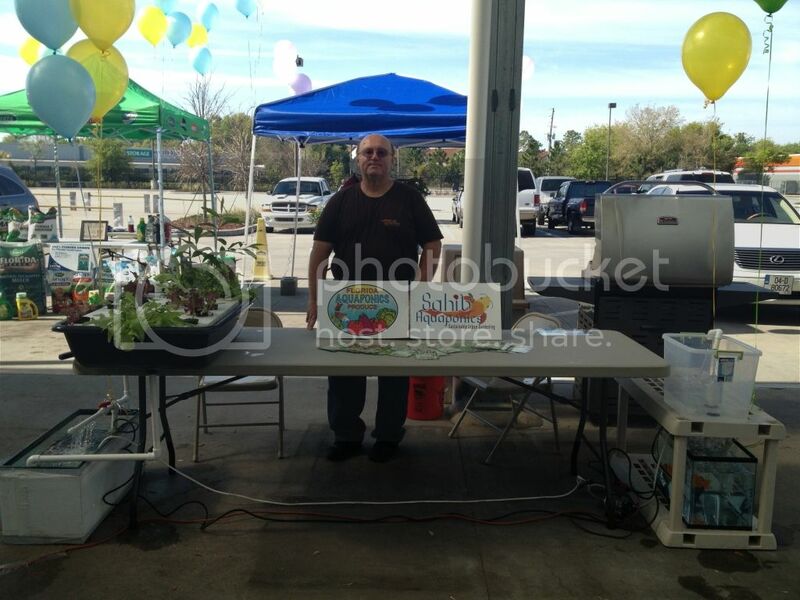 Your aquaponic carrots really can be straight…..
Recirculating farms – systems that use naturally cleaned, recycled water – are growing fresh vegetables, fruits, herbs and fish for Florida families, so they can eat well, even in tough economic times. The paved alley behind the Winter Park Commerce Center strip mall does not look like fertile farmland. But there, urban gardener Sahib Punjabi grows an abundance of lettuce, peppers, tomatoes, and more, all with the help of water and fish, instead of soil. Sahib’s Aquaponics Research Farm — or as he calls it, his “living food jungle” — is one of many new farms and training centers cropping up, literally, in central Florida. These innovative operations provide not only fresh, local produce but also economic opportunities for Floridians affected by the financial crisis. 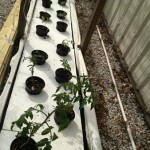 Another Florida resident turned aquaponic farmer is Gina Cavaliero, former co-owner of a once-successful contracting business that foundered when the housing market collapsed. “The faucet just turned off,” Cavaliero remembered. “We’d recently been introduced to aquaponics, and thought that growing food would be recession-proof — people have to eat.” Today, Green Acre Aquaponics, a commercial farm and consulting company located in Brooksville, is thriving. 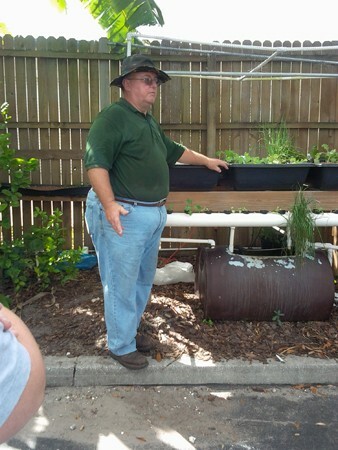 According to Cavaliero, more than a hundred people participated in their most recent aquaponics training sessions, eager to learn how to grow food for their own use and for sale to local restaurants and markets. 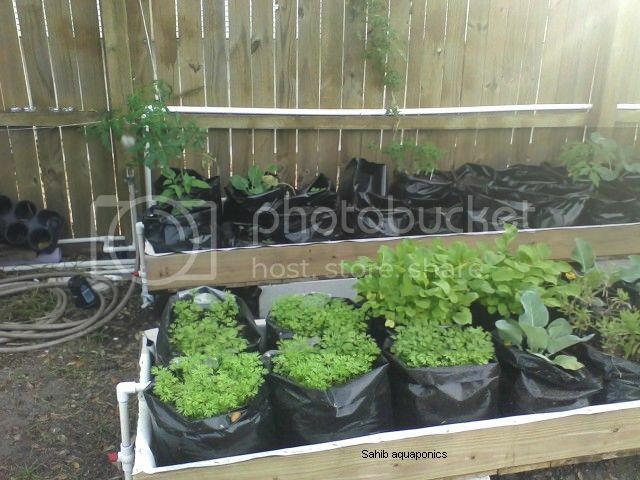 Sahib Punjabi believes that home-growing food helps save on grocery bills and improve health. “There are health benefits to adding vegetables to your diet, and to not eating pesticides,” he said. “There is also the pleasure of working with nature and seeing something grow — it’s a wonderful stress relief.” He feels a healthier diet and less stress means a substantial savings in health-care costs over the long term. 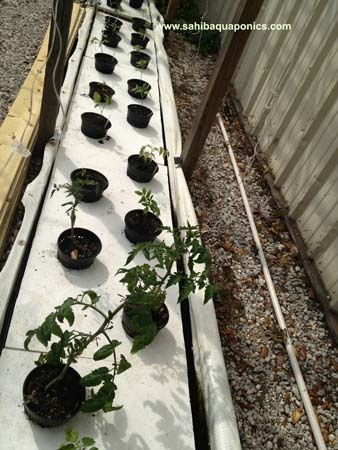 For Gina Cavaliero, individual health benefits and savings are just part of aquaponics’ potential benefits. 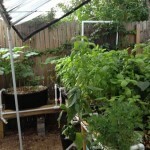 She sees aquaponics as part of a revolution. “If we can get a decent resurgence of the small family farm, we can feed more people local, clean, chemical-free food — and create jobs in the process.” For Florida families affected by diet-related health problems and the economic downturn, that is a win–win proposition. 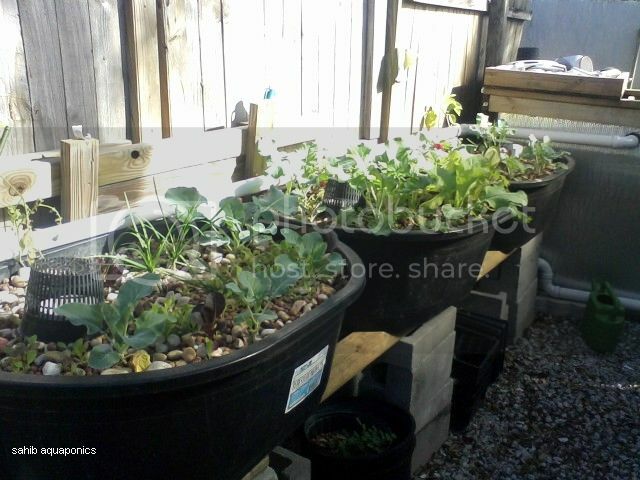 For more information on aquaponics and other types of recirculating farming, including tips on building your own system, visit http://www.recirculatingfarms.org. 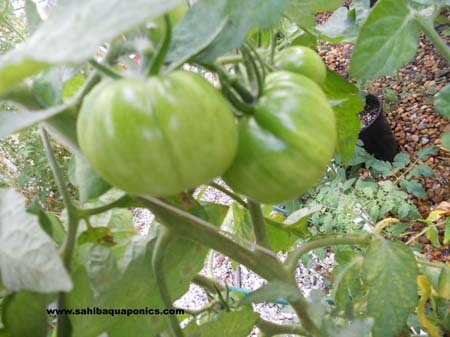 Sahib Aquaponics : What shall we grow today? 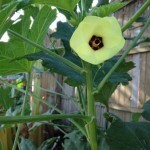 Today I am going to write about one of my wife’s favorite items that we grow at Sahib Aquaponics, Okra. We call it by the Hindi/Urdu Name Bhindi. 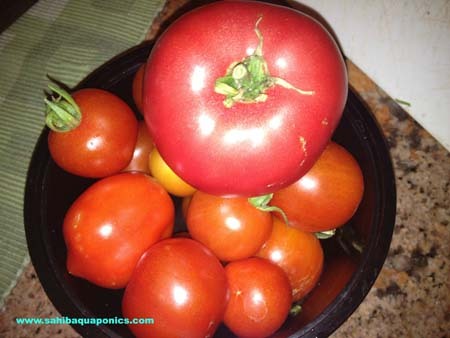 This much loved vegetable is a favorite of many and is usually grown in hot weather, one of the few that does not wilt and die as the temperatures rise. The green pods when cooked release a “goo” or slime which is considered by many to be beneficial to health. 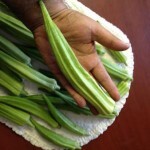 Okra can be eaten raw, boiled, fried, sautéed, stir fried, stuffed, and included in stews. The leaves can also be eaten, usually in salads. Okra plants can grow up to 9 feet tall and with uncut Okra fruit, can weigh a lot hence they are not good candidates for “raft” Aquaponics. 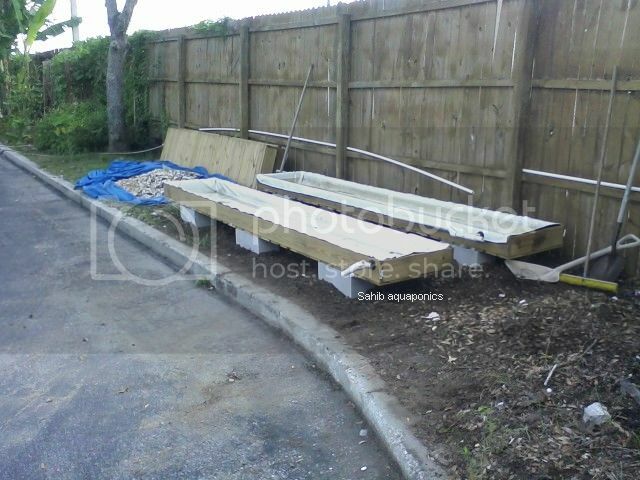 They are better suited to deep media beds preferably containing 3/4inch rocks. Grow them direct from seed and avoid the transplant shock. Although I have grown a hybrid variety from saved seeds, I do prefer to grow the “Clemson Spineless”. 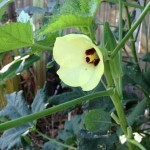 Each plant may only have one or two Okra pods maturing at any one time and you should pick these often. Try to pick the pods when they are 3 to 5 inches, although I must confess that in Aquaponics, they tend to grow that almost every day! 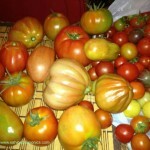 If I forget to pick them for a couple of days, they have grown to 10 to 11 inches tall and fat as a cucumber. Hat is not always a good idea as letting them grow to a larger size tends to make them woody and lose their taste. My Aquaponically grown Okra are honestly the very best tasting “Bhindi” that I have ever eaten. 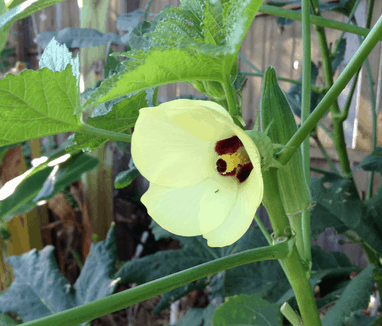 When planting Okra you do need a lot of room as you should plant a number of plants if you would like to be able to harvest enough pods for a meal once or twice a week. 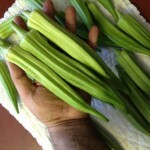 You can eat Okra right off the plants or cook them in numerous ways. They can also be frozen or pickled. You can cut them in ¼” to ½” pieces and stir fry then with onions and spices, or coat them with seasoned corn meal and deep fry them. They can be stuffed with spices, other stuffing or even cooked ground meat and then stir fried. Gumbo is another way to eat Okra. In order to get the maximum health benefits of Okra, try to avoid over cooking it and avoid deep frying. Okra is an excellent source of many nutrients such as Vitamin A, Vitamin B6, Vitamin C, Calcium, Copper, Iron, Potassium, Magnesium, Niacin, Zinc as well as containing Folic Acid. It is considered a weight loss food with optimum health benefits. The fibers found in Okra are supposed to help stabilize bold sugar, improve the functioning of the intestinal tract and help provide the body with good bacteria for the digestive system. In Pure Economics 101 terms, it all depends! 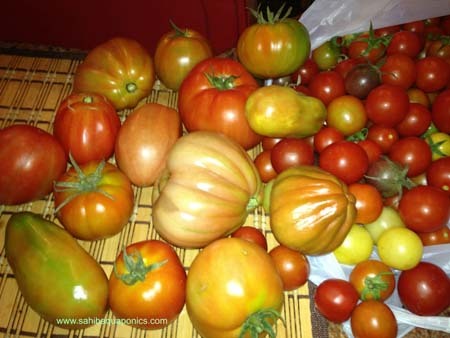 If you live in very hot climates like Central Florida, your choice of produce to grow for market is limited during the hot summer. 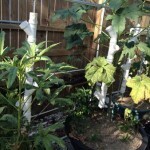 If you have the space and the appropriate Aquaponics set-up, growing Okra during the hot season and provide you with a stream of income that was non-existent during this hot period of the year. If you had a fifty foot long by 4 foot wide media filled grow bed area, so 200 sq. 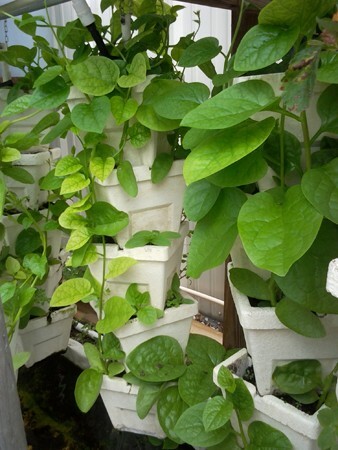 ft. space, you should be able to plant at least 120 plants – spacing them 12” to 15” apart. Once they start to produce fruit, you should be able to harvest approx. 30lbs to 40lbs weekly. 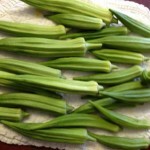 Organic Okra, if available (and you know as you will hopefully educate your customer that Aquaponically grown is much superior), was selling for $2.99-$3.50/lb at the local farmer’s market. Say if you have a 20 week production harvest that could result in $3,000.00 plus additional income. 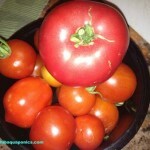 Not as much as one could earn if growing tomatoes or green leafy veggies. However you could not grow them in this hot climate without some serious climate control environment! 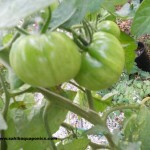 By the way, you can still grow basil, mint, hot peppers and gourds / melons in the open space of the media grow beds thus further add to you farm income. In future “What shall we grow today?” article’s I will write about some of the vegetables mentioned above as well some other less known such as Bitter Melon (Kerela), Fenugreek (Methi), Malabar Spinach and Moringa (Drumsticks). 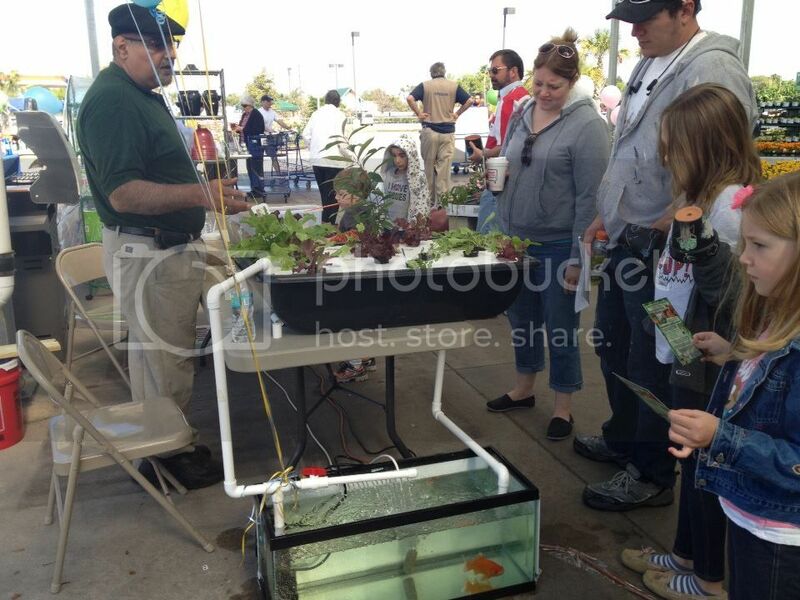 Please let me know if there are any vegetables you would like to grow in Aquaponics and know more about them.